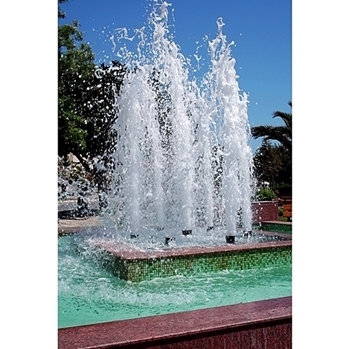 Cascade Fountain Nozzles - 1"
Cascade Fountain Nozzles are the most popular effect for large fountains. The nozzle mixes air into the water stream producing a highly visible and wind resistant spray. Great as a stand alone feature, but can be grouped with other nozzle for more dramatic effects.